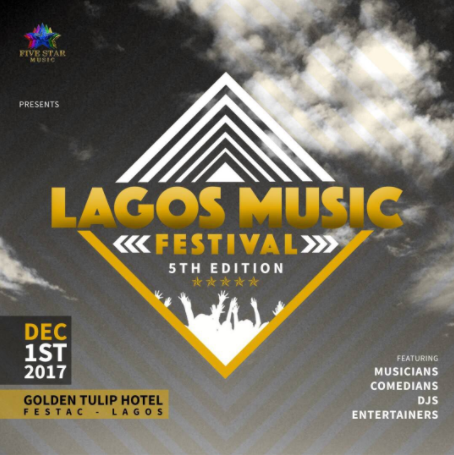 Five Star Music has announced the fifth version of its annual song festival. 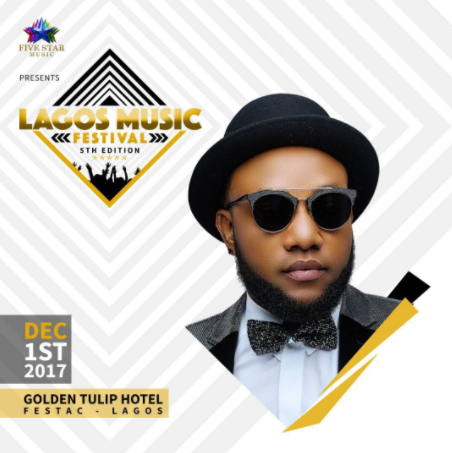 This year version is tagged ‘Lagos Music Festival Reloaded’ will hold at the Golden Tulip Hotel, festac on December 1, 2017 with an excellent list of superstar musicians. In the previous years, the event has been rated as one of the best in Nigeria pop culture with is annual sold out crowd of over 10,000 music fanatics from different part of the country. Past versions of the concert has witnessed great performance by high profile musicians like 2face, Orezi, Sound Sultan, Phyno, kcee, Olamide, Lil kesh , Timaya, Wande coal, Patoranking , Ycee, Tekno, Iyanya, Olamide, D’banj, Oritsefemi and plenty of others. According to Five Star Music Group ‘we are an entertainment company that is devoted to find out and expand new abilities and over the past decade we’ve executed that remarkably. We are hoping to carry the ear to correct close with this befitting concert as we come out with our celebrity friends to make the people satisfied’.